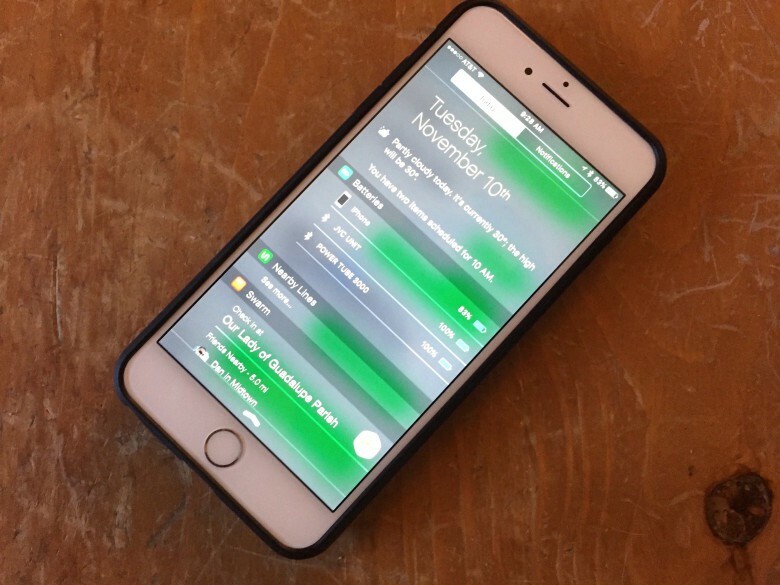 Swipe down from the top of your iPhone screen to invoke the Notification Center. If you’re not already on the Today tab, tap it at the top of your screen. 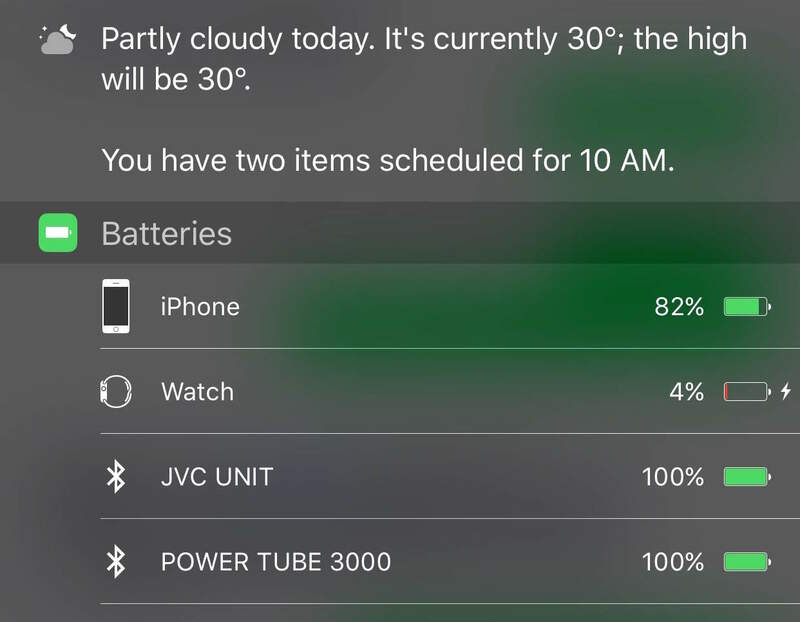 If all is set up correctly, you should see the list of connected devices and their battery levels at the top, just under the date and weather. Add and remove widgets here. 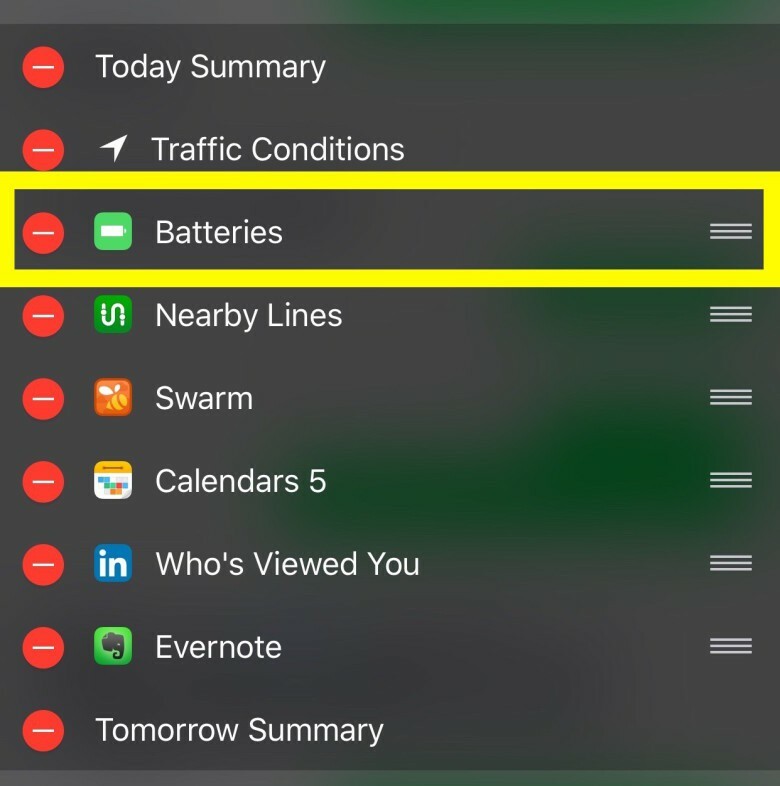 If not, swipe all the way down to the bottom of the Today screen, tap the Edit button, and find “Batteries” in the Do Not Include section. Tap on the green plus symbol to the left of Batteries, and then use the hamburger icon (three horizontal lines stacked on top each other) to tap and drag the Batteries to the top of your list of enabled widgets. Move this up and down in your list to fit your own special style. Now when you swipe down to the Today section of your Notification Center, you’ll see all your connected devices and their battery status.